The unique judicial architecture and ambitious political aims of the European Union indicate that it is more than an international organization governed by international law. One of its special features is that its judicial system is open to individuals. Another is that it grants extensive and exclusive powers to EU courts to decide on challenges to EU acts and on challenges by individuals based on EU law. This system was deemed necessary for the proper functioning of the EU internal market, whose ultimate goal is to ensure that EU undertakings can operate under the same conditions throughout the European Union. As a result, the European Union has a legal order that is autonomous of both the domestic Member States’ and of the international legal orders. Both these features make it problematic to introduce an alternative dispute settlement mechanism allowing individuals to challenge EU acts and decisions based thereon. Under EU law, every international agreement concluded by the European Union needs to be compatible with the EU Treaties. This means that an international agreement to which the European Union is a party must comply with the rules in the Treaty on the Functioning of the European Union (TFEU) setting up the European Union’s judicial system and the internal market, including the rules on state aid. ISDS may affect the autonomy of the EU legal order and, in particular, the ECJ’s powers to interpret EU law. ISDS affects the exclusive jurisdiction of the EU courts to hear claims for damages. Under no circumstance can ISDS arbitrators or judges determine who the respondent is or decide on the division of competences between the European Union and the Member States. ISDS may negatively affect the completion of the internal market. This article details these legal objections and closes with a discussion of the potential for legal challenge of ISDS, including ICS, under EU law. 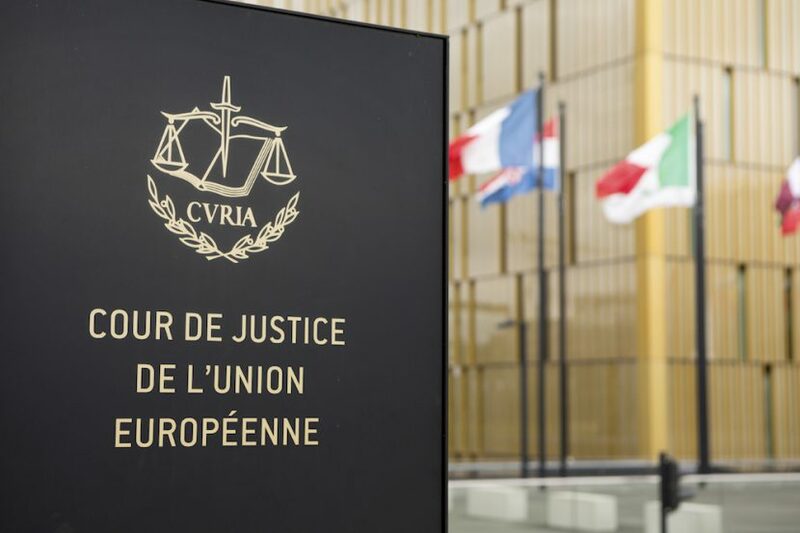 In the context of European human rights law, the ECJ rejected the EU accession to the ECHR, because it would allow the European Court of Human Rights in Strasbourg to interpret EU law without the involvement of the ECJ. This involvement was necessary for the ECJ to ensure that the Strasbourg court would have the correct understanding of EU law. As a fundamental purpose of ISDS (including ICS) is to enable investors to challenge EU acts and decisions based on these acts, an ISDS arbitral tribunal or an ICS court would have to interpret and give meaning to EU law. Similarly to the context of human rights law, ISDS (including ICS) tends to encroach on the powers of the EU courts to rule on questions of EU law. The arbitral tribunal is not a court or tribunal of an EU Member State but a parallel dispute settlement mechanism entirely outside the institutional and judicial framework of the European Union. Such mechanism deprives courts of the Member States of their powers in relation to the interpretation and application of EU rules imposing obligations on EU Member States. Indeed, one of the objections the German Association of Judges (Deutscher Richterbund) has against the new ICS proposal of the European Commission is that it would alter the judicial architecture of the European Union and affect the powers of the national judges under EU law. Another problem related to the EU courts powers is that under EU law the EU courts have exclusive jurisdiction to hear and determine actions seeking compensation for damage brought under the second paragraph of Article 340 TFEU, which covers non-contractual liability of the European Union. In other words, if you want to sue the European Union for damages, you need to go to the ECJ. ISDS (including ICS) introduces an alternative to such suits for foreign investors, undermining the exclusive nature of the EU courts’ powers in claims for damages. Under EU law a claim for damages is an autonomous remedy, but the ECJ limits its use. In particular, actions for damages are inadmissible if they are used improperly as a disguised action for annulment or action for failure to act. An example would be to use an action for damages to nullify the effects of a measure that has become definitive, such as a fine. It is also very difficult, if not impossible, to claim damages for lawful acts. Moreover, the Court is very wary of the potential of a “regulatory chill” if it were to accept damages claims too easily. The Court has held that the “exercise of the legislative function must not be hindered by the prospect of actions for damages whenever the general interest of the Community requires legislative measures to be adopted which may adversely affect individual interests.” Bringing a claim under ISDS, therefore, has clear advantages for investors over bringing claims before the EU courts, putting a perverse competitive pressure on those EU courts. ISDS tribunals may be less wary of the risk of regulatory risk and, therefore, may be more inclined than the EU courts to decide cases that could potentially chill regulation. The question of the apportionment of responsibility must be resolved solely in accordance with the relevant rules of EU law and be subject to review, if necessary, by the Court of Justice, which has exclusive jurisdiction to ensure that any agreement between co-respondent [that is, the European Union] and respondent [that is, the Member State] respects those rules. To permit the ECtHR to confirm any agreement that may exist between the EU and its Member States on the sharing of responsibility would be tantamount to allowing it to take the place of the Court of Justice in order to settle a question that falls within the latter’s exclusive jurisdiction. Both the EU–Singapore Free Trade Agreement and the Canada–EU Comprehensive Economic and Trade Agreement (CETA) violate this requirement by making it possible for arbitrators to determine the respondent in a particular case. The conflict with EU internal market rules is more diverse and complex, and goes beyond the scope of this article. However, at a fundamental level ISDS (including ICS) is problematic from the perspective of EU internal market law because they provide for a discriminatory remedy that can undermine the proper functioning of those rules. For example, decisions under EU competition law may be challenged and lose their effectiveness. A foreign investor could challenge a decision of the Commission to fine the investor for abuse of dominance under ISDS, in particular where the Commission does not prove actual detrimental effects to the market. These fines can be as high as 30 per cent of the annual sales of an undertaking. While EU courts generally do not require the Commission to take an “economic approach” in its enforcement, greater scrutiny by ISDS arbitrators may impede the effectiveness of the Commission’s enforcement powers. Another clear example is the recent Micula case, which concerned a dispute over the requirement to pay back unlawful state aid. Moreover, foreign-owned undertakings established under the laws of a particular Member State would have recourse to ISDS, whereas undertakings from other Member States in a similar situation would not, potentially breaching the rules on free movement of services, establishment, and capital. The unique aspect of the EU internal market rules is that they have constitutional status, which makes them superior to rules contained in EU trade agreements. There are two main ways in which ISDS (including ICS) can be challenged before the ECJ. The first option is to request the Opinion of the ECJ on the compatibility of an “envisaged” agreement with the EU Treaties on the basis of article 218 (11) TFEU. This procedure is only open to Member States, the Commission, the Council and the European Parliament, and is designed to prevent legal complications if the European Union concluded an agreement that is not compatible with the EU Treaties. This option is available while the Council has not yet taken a decision to conclude an agreement. Where the opinion of the ECJ is adverse, the envisaged agreement may not enter into force unless it is amended or the Treaties are revised. In light of the large number of free trade agreements the Commission is currently negotiating, this option is currently available for a number of these agreements. Another option is to challenge before the ECJ the Council decision concluding an international agreement containing ISDS or ICS. However, only one EU agreement containing ISDS is currently in force: the Energy Charter Treaty. Moreover, it is very difficult from a procedural perspective to challenge such a decision under EU law due to the rules on standing in the European Union and its Member States. Potentially, therefore, the question of legality of ISDS or ICS in particular may never arise before the ECJ. If it does, it may have significant consequences for the future of investment law in Europe. Laurens Ankersmit is a lawyer at ClientEarth, a non-profit environmental law organization based in London, Brussels and Warsaw. Case 6/64 Flaminio Costa v E.N.E.L. ECR 585. European Commission, Amicus Curiae submission in European American Investment Bank AG (EURAM) v. Slovak Republic (13 October 2011) SJ.i.dir (2011) 1154556. Case C-377/09 Hanssens_Ensch v. European Community, para. 17. Lenaerts, K., Maselis, I., & Gutman, K. (2015). EU procedural law. Oxford: Oxford University Press, p. 490. Joined cases C-120/06 P and C-121/06 P Fabbrica italiana accumulatori motocarri Montecchio SpA (FIAMM) and others v Council and Commission  ECR I-6513, paras. 164–169. Opinion 2/13 Accession to the ECHR , para. 234. See art. 19 (3) EUSFTA, art. X20 CETA. Commission has addressed this problem in its TTIP proposal. Case T-646/14 Micula and Others v Commission (pending), see also Micula v Romania (ICSID arbitration award) (Case SA.38517) and Commission Decision C/393/2014  OJ C 393/27. The right of establishment (article 49 TFEU), the right to receive and provide cross-border services (article 56 TFEU) and the provision on free movement of capital (article 63 TFEU) guarantee non-discriminatory treatment. These provisions apply to the EU institutions as well as to Member States. The cornerstones of EU internal market law are the so-called four freedoms: the free movement of goods, persons, services and capital. These can be found in articles 34, 45, 49, 56, and 63 TFEU. The EU competition rules, enshrined in articles 101-109 TFEU are also part of EU internal market law.